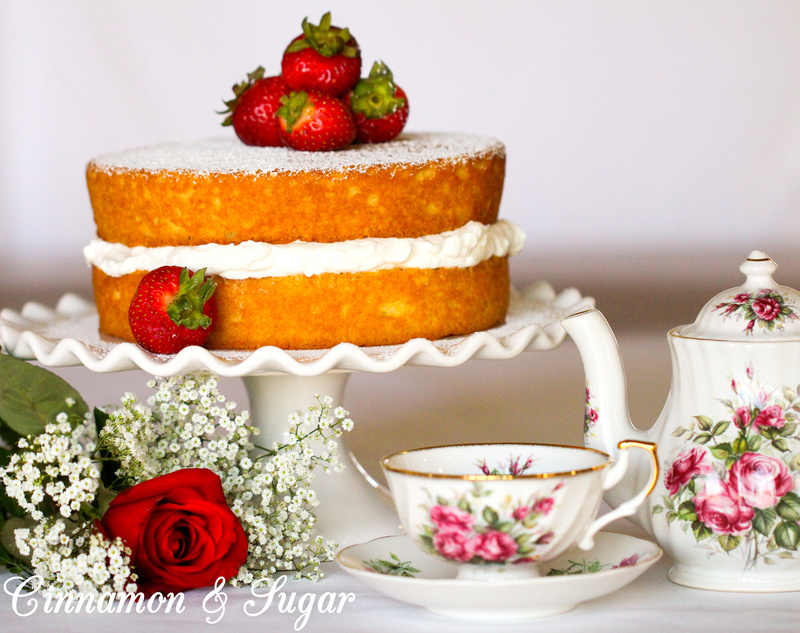 My wonderful “baking consultant” – the talented Kim Davis at Cinnamon and Sugar and a Little Bit of Murder blog – has tried out this recipe and featured it on her blog, complete with gorgeous photos & video! A special thank you to Kim for allowing me to share her beautiful photos. 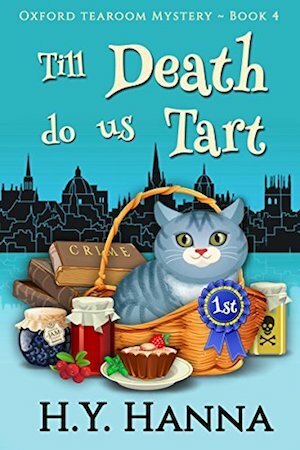 “TILL DEATH DO US TART is a charming book on so many levels! I adore the cover with the cute kitty, Meuseli, and the story itself takes you into the quaintness of a small English village. I felt like this book gave you a more personal glimpse of who Gemma Rose is and how she’s developed and changed by her interaction with friends, family, and customers as well by the murders she keeps getting pulled in to. Gemma’s strong sense of justice is forefront in this book, despite the fact that the murdered woman was an unlovely woman who terrorized so many people around her. This satisfying mystery had plenty of suspects to keep me guessing until the end and the conclusion came as surprise. The author also provides an insider’s look at a traditional English fête and village. She paints such a beautiful picture using words that I felt like I could be one of the many tourists wondering around, taking in the scenes, scents, and tastes offered. And Gemma’s tearoom provides all sorts of delectable, mouthwatering treats that make me want to visit and linger over a pot of tea. 2) Add the butter and caster sugar to a bowl (or mixer) and combine thoroughly, taking your time. Keep mixing until the mixture is smooth and creamy and you cannot feel any of the sugar granules. 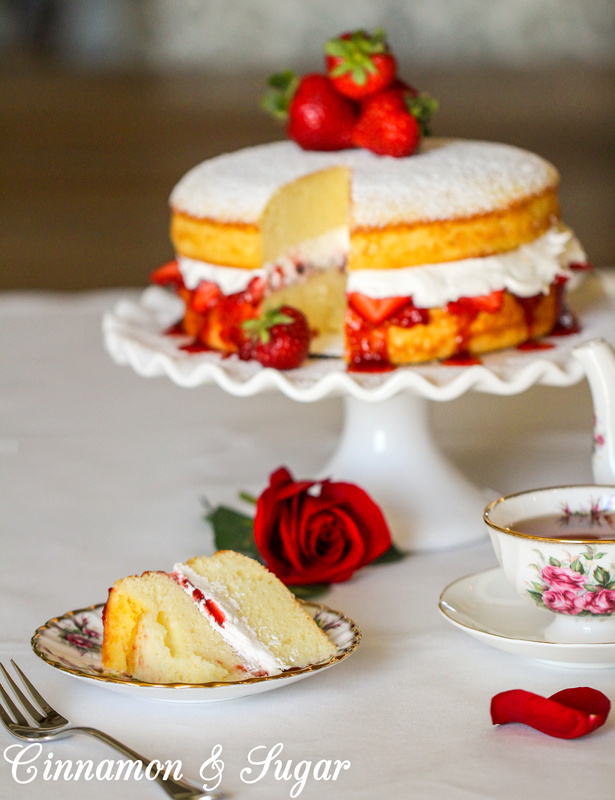 Do not rush this step—even if it takes five minutes—as it is the key to making your sponge cake light and fluffy. The longer you can mix the butter and sugar, the better your cake will be. 3) Whisk the eggs in a bowl and then add it to your butter & sugar mixture a little bit at a time, making sure to mix thoroughly after each addition before adding more. Again, take the time to cream the mixture as much as possible—the smoother it is, the better the texture of the cake will be. 4) Finally add in the vanilla extract and mix well. 5) Sieve the flour into the mixture, together with the baking powder and a pinch of salt, then fold very gently to combine, using a figure of 8 motion. This keeps as much air in the mixture as possible (If using a mixer, keep it on the lowest, gentlest setting) You must not overwork the batter otherwise the cake will come out tough and dense. 6) Keep mixing gently until the batter is smooth and passes the “dollop test”, ie. when you lift some of it up with the spatula, it falls easily off in a dollop. If it sticks to the spatula and is too dry, add a bit of milk to loosen it and mix gently again. Be careful not to add too much milk as you don’t want the batter to be runny. 7) Get two 8-inch round cake tins and lightly grease the insides, then lay a circle of greaseproof paper at the bottom. * Tip – Weigh the batter as you divide between the cake tins to have equally even cakes. 9) Place in the middle layer of the oven and bake for 20 – 25mins, until the cakes are golden and have risen nicely. To check that they’re done, slid a sharp knife or skewer into the centre and it should come out clean. The cake will also spring back when gently pressed and the edges should be shrinking slightly away from the sides of the tin. 10) Take them out and allow to cool for 10 mins in the tin, then remove from the tins, peel off the greaseproof paper and cool on a wire rack, flat side down. * It is important to allow the cakes to cool completely otherwise it will cause the cream in the filling to melt and will ruin the cake. 11) While the cakes are cooling, prepare the filling by whipping the double cream until it forms soft peaks. * Variation: some people may also like to include fresh sliced strawberries in the filling, between the jam and the cream. 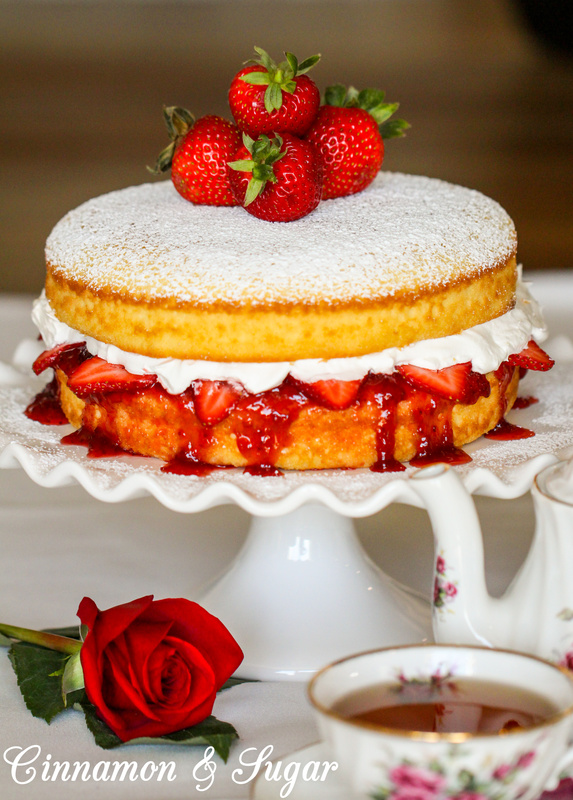 13) Decorate the top of the cake with the strawberry halves and then dust everything with icing sugar. Thanks for the recipes! They look delicious! However, the printable link doesn’t work for the Victoria Sponge Cake. Thanks for getting it fixed, I just downloaded it. Yum this looks so delicious! Makes me wish i had a piece of that cake right now. And I am happy to see these recipes are on your blog as well now, makes it easier to print and make them :).